Moira Sanders shows you that with a little planning and a lot of fun, preparing for a big holiday supper doesn’t need to be stressful. 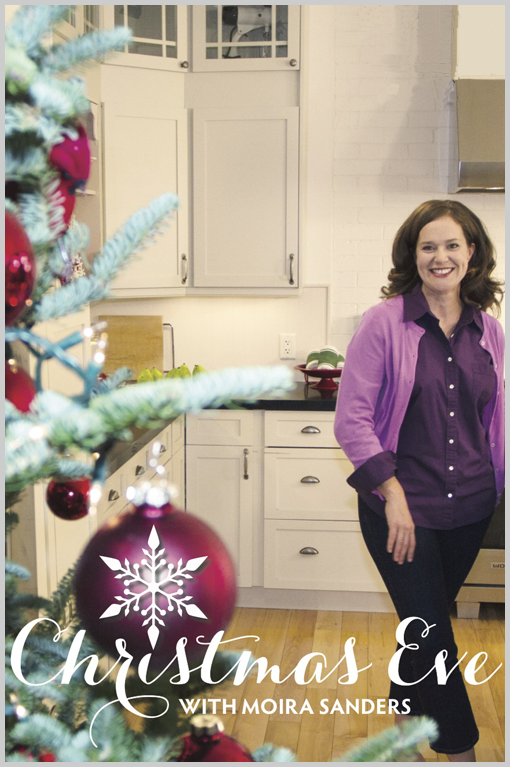 Moira shows you a step by step plan to help you get an amazing meal to the table without ruining your own holiday. With the help of her children, Ellen and Gavin, and plating assistance from her husband Allan, Moira rallies the family to help prepare a Christmas Eve table full of memories.